Record enrollment and R&D expenditures. The third‑best fundraising year ever. Successful reaccreditation with numerous commendations. Faster than anticipated progress in restoring the university’s fiscal health. In many respects, 2018 was a banner year for WSU. But how are these accomplishments positioning the university to better serve the future needs of the state of Washington? How does the university need to evolve to achieve its Drive to 25 goals and fulfill its national aspirations? Gain insights into those questions and other important issues when President Kirk Schulz presents the 2019 State of the University address at 3:10 p.m. on March 26 in the Bryan Hall Theatre. The address also will be livestreamed. 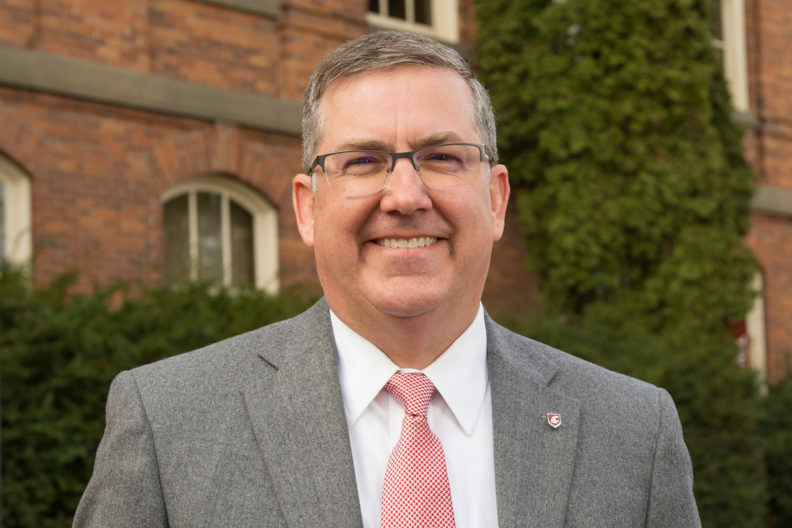 Following his opening remarks highlighting university achievements, Schulz will engage in a fireside chat‑style discussion with WSU Vancouver and Carson College faculty member Donna Paul. They will explore the initiatives underway to better position the university for the future, including the strategic plan, modernization and campus culture. Student pianist Garrett Snedeker, 2017 winner of the Washington State Music Teachers Association Young Artist Piano Competition, will perform prior to the address. The Crimson Flute Trio, composed of students Elaine Martir, Marissa Watanabe and Sofiya Chayka, will perform during the reception, which will include appetizers and refreshments. Questions may be submitted in advance for the president to answer at the end of the address. The community is encouraged to register soon to attend.